Abrasions involve the skin and hair of the animal and, if severe, may go deeper into the flesh, causing a serious wound. When a horse either accidentally or purposefully scrapes against a rough object, such as a fence or wall, the skin and hair may be abraded with resulting tears of the skin, hair, and tissue. An abrasion creates a rough wound that should be treated promptly to prevent infection and possible scarring. Abrasions occur when a horse rubs against a fence, stall, or other stationary object. Abrasions may also be caused when a horse falls and skids, skinning a hip, leg, shoulder, or other body part. 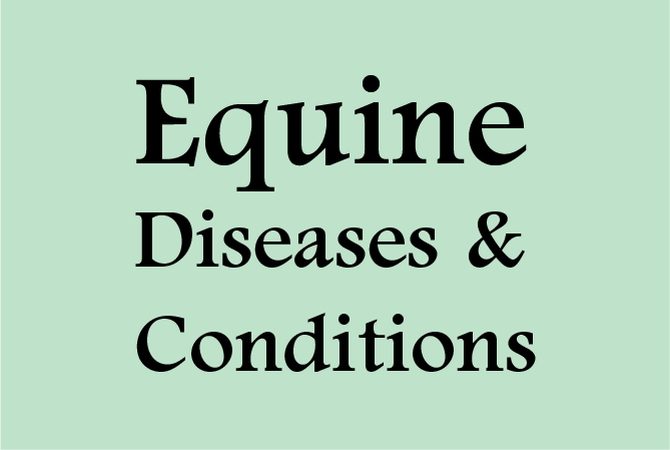 Ill-fitting saddles or saddle blankets that rub repeatedly on the skin, or ropes that are used roughly and inappropriately, may also cause abrasions. Making sure that saddles and saddle blankets fit, and that ropes are the right kind and are used appropriately will help greatly reduce the possibility of abrasions. Removing any obstacles and curtailing any activities that can result in a fall are also important in preventing abrasions. In spite of due diligence, most horses at one time or another will incur abrasions. If the wound is a simple surface abrasion, it can usually be taken care of with a few careful procedures, but it is important to check and make sure no punctures, lacerations, broken bones, or more serious damage has occurred before treating the skin damage. In case of serious injury, a veterinarian should be called immediately. First, stop any bleeding by applying pressure with a clean, sterile bandage. Once any bleeding is brought under control, clean the wound with an iodine-based solution or flush with saline solution to remove dirt, grass, or other particles. An antiseptic ointment should be applied to the injured area. Be gentle with the skin area to avoid causing further pain to the horse or more damage to the skin. The horse may be sore for days, especially if bruised muscles are involved, and it may be a few weeks before large abrasions are sufficiently healed to allow the horse to be returned to a regular schedule. . Hose the area with cool water for pain relief and to diminish swelling, and reapply ointment to help the area heal and keep it protected from dirt. A prescription for an anti-inflammatory from the veterinarian will help if the horse seems uncomfortable. If the abrasion is serious enough to cause scarring, the veterinarian should be consulted for ways to minimize scarring and may be able to treat the wound with laser light, which has been shown to reduce scarring. In some cases, restricting movement may be helpful while the abrasion is healing. Certainly, any activity that would stretch or strain the abrasion should be avoided. Also, avoiding contamination of the wound is important to prevent bacteria from entering and causing further infection and inflammation. During the warm summer months, flies and other insect pests should be kept away from the abrasionl. Flies may lay eggs in abrasions, creating sores and lesions. Common flies may carry larvae of stomach worms that can cause lesions, known as summer sores. For that reason, a horse with healing abrasions should be kept in a clean, pest-free environment.